This is a lecture by Dr. Thomas Levy, M.D. 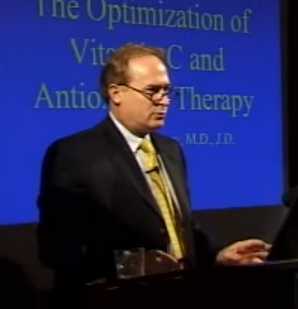 at the Riordan Clinic IVC and Cancer Symposium 2009. He talks about the nutrient/toxin relationship and the role electron depletion and donation have in regard to vitality, health, and illness. The Riordan Clinic is a not-for-profit 501(c)3 organization focused on orthomolecular medicine, health education and health research.